Curious Planeteer working to make the Earth's changes visible, accessible and actionable. The largest agricultural companies are tapping into big data and machine learning to help farmers become more efficient and profitable in the years ahead. At the forefront of this trend, Corteva Agriscience,™ Agriculture Division of DowDuPont,™ through its software business Granular, selected Planet for a multi-million dollar, three-year deal that offers farmers cutting-edge digital agriculture solutions. 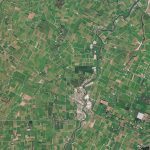 Granular will directly license Planet’s daily global satellite imagery for distribution through Granular’s farm management software suite. 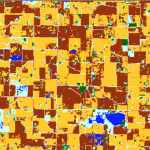 As a result, customers can access high-resolution, high-cadence satellite imagery of their farms and leverage analytical tools to monitor crop health and boost productivity. In combination with crop management software, daily imagery helps farmers make more timely and targeted decisions by providing farmers with a complete view of what certain patterns and conditions indicate about the health of their crops, along with methods for optimal response. 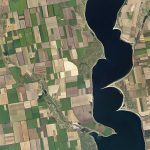 Insights from imagery are hosted in the same platform that hosts operational, crop information, inputs, and financial information – so farmers have all the information at hand to act decisively. 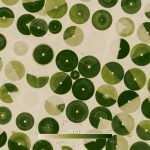 Planet’s deep stack of imagery data will also be leveraged by Granular for the development of proprietary models and new data products that will help farmers manage their farming operations in unprecedented ways. As early adopters, Granular was able to consume Planet’s sizable daily global information feed and translate the data into insights and actionable information. With this expanded partnership, Planet’s daily agriculture monitoring combined with Granular’s world-class crop modeling talent and datasets are giving farmers around the world daily insights into crop status and productivity for years to come.